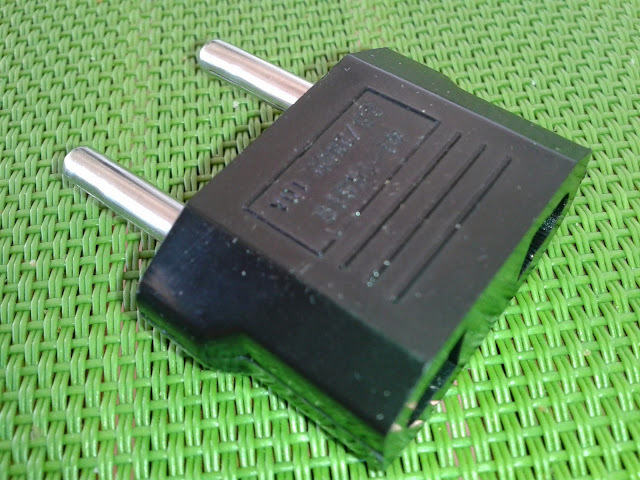 This cheap Chinese EU/US adapter bought off eBay for 1$ is a fire waiting to happen AND it is rated for 250V and 10Amps! Electricians are screwing cables into socket, switches and circuit breakers a lot. Some prefer using a PZ2 screwdriver some a flat one. No matter how careful you are your precious and favourite screwdriver will eventually wear out. What if you could apply strength and reduce your chances of slipping? Most sockets, switches and circuit breakers have a slotted PZ2 screw (with a groove for flat screwdrivers as well). 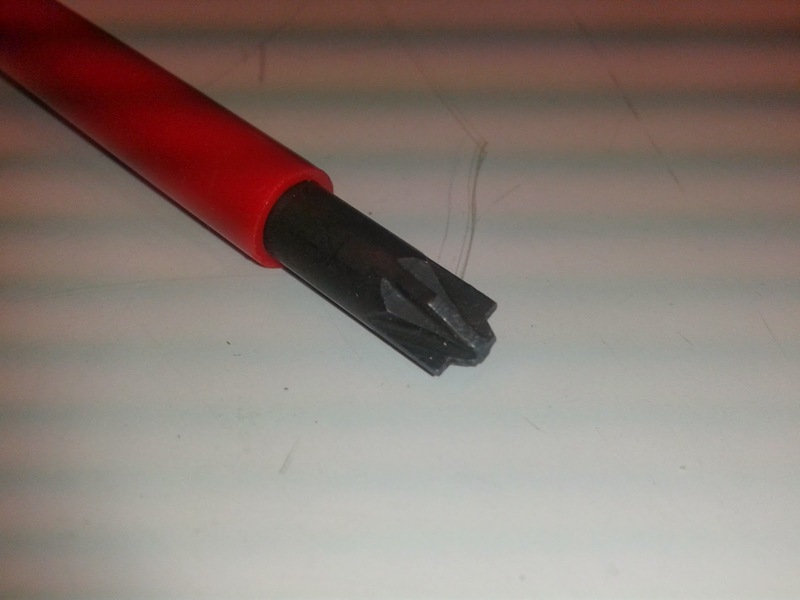 This is where this ADB Slotted Pozidriv screwdriver comes in: it is both a flat and PZ2 screwdriver at once and will maximise the strength you can apply. 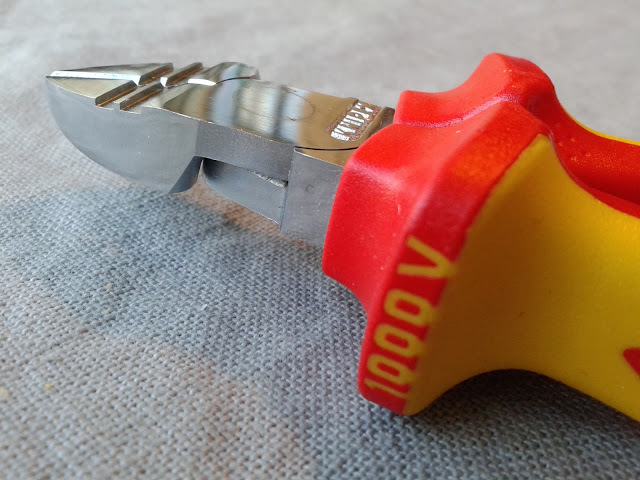 This wire stripper is a fairly innovative pair of cutting pliers than can both cut and strip wires and is also insulated for 1000V. It is very good at its job. 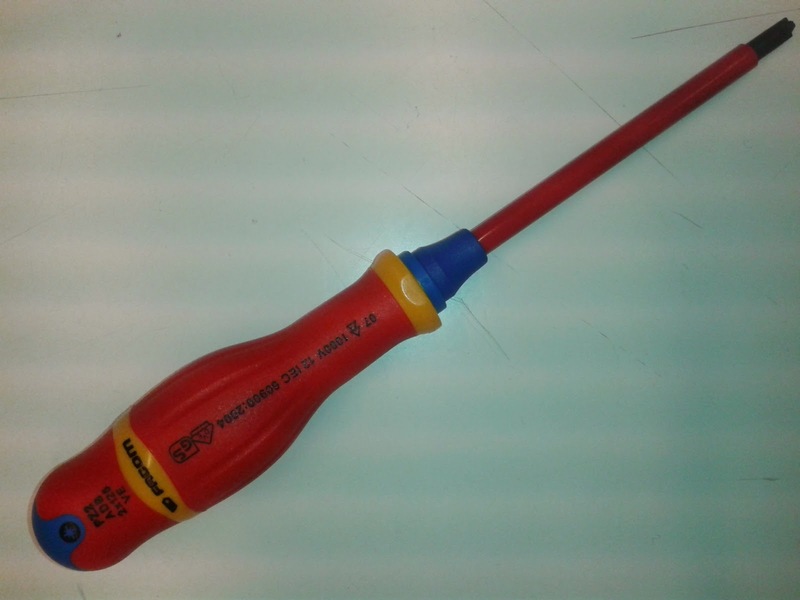 That being said, I would not particularly recommend buying these unless you are frequently working with electrical cables and either want to reduce the storage space your tools take or want to reduce the number of tools you have to carry around, e.g. you have to crawl into small spaces, climb long ladders/flights of stairs or go to work with the bus or on a bike. 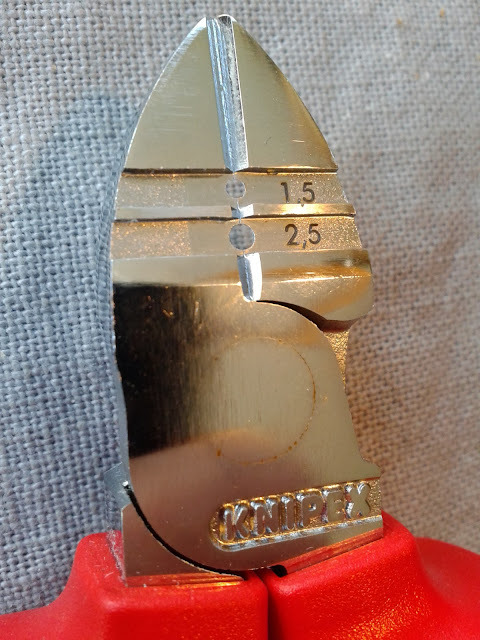 This tool combines both cutting and stripping (1.5 and 2.5 square mm) functions you need for e.g. domestic electrical work. I personally use it in my smallest toolbox. That toolbox also contains a 1000V insulated screwdriver (and its bits), a torch (led), a leatherman kick, a plastic Stanley knife and a couple of zip ties. That's it! 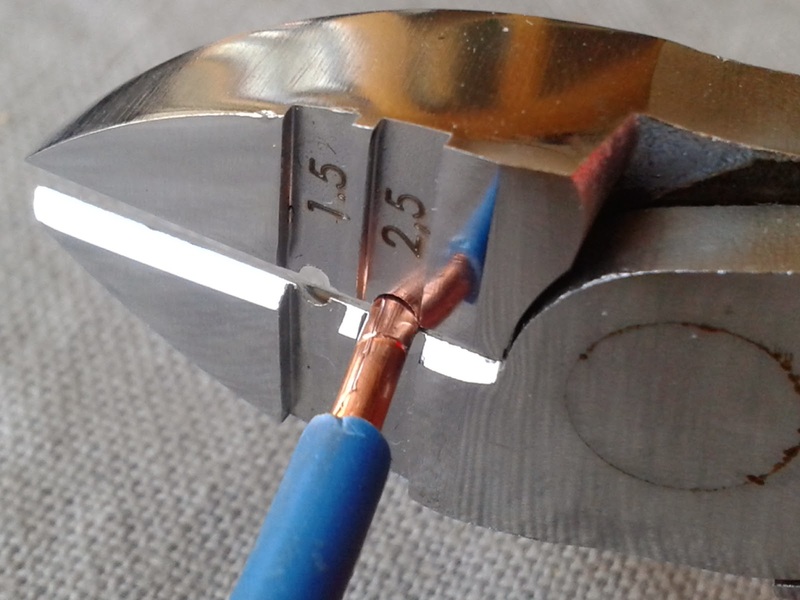 The wire stripping part works very well and doesn't need the adjustment wire strippers usually require when working with both 1.5mm² and 2.5mm² usually found in households. 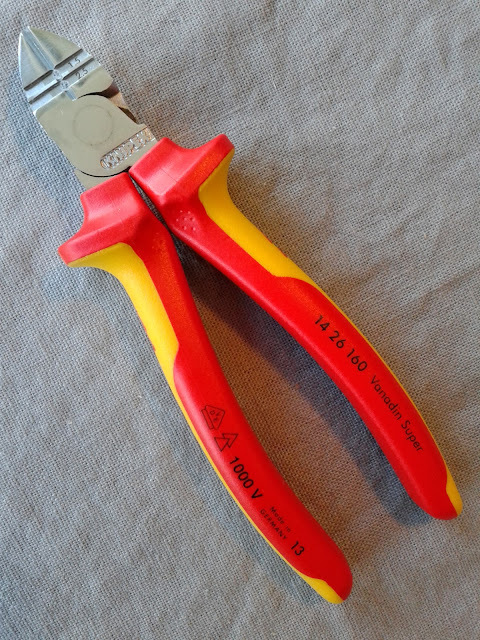 As with all Knipex pliers, it is very well made and has a lifetime warranty. These bridged fuses have been used for more than 30 years. Less and less people have fuses at home. If you still do, read what follows as you might have bridged fuses and not know it. 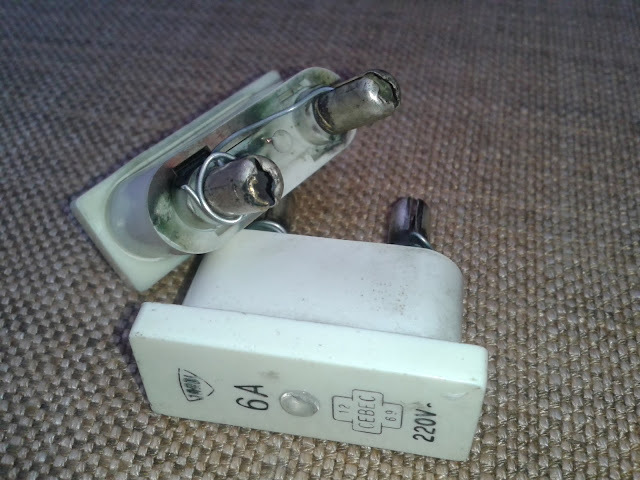 When a fuse blows, it means something went wrong with the electrical installation. Unless the problem has been identified and solved, simply replacing the fuses is asking for problems. When somebody is in the dark because of another of these fuse problems, the temptation will be high to simply replace it. If that person is out of replacements, he will probably bridge it with some electrical wire... this is where it becomes dangerous. You never know when and how your bridged fuse will burn or blow. They could heat up and start a fire or let the electricity flow. Any other cable or appliance in your home can then start a fire. What if you could use the same key for your home and bike? 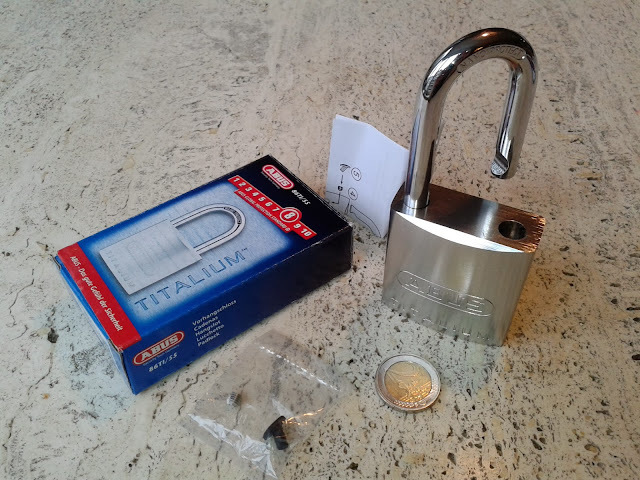 This is exactly what the Abus 86/55 and the newer Abus 86TI/55 padlocks are about, you simply have to add a half euro cylinder. This is a standard large padlock. On the 1 to 10 security scale of Abus, it ranks 8. Note that lightweight is only applicable for the Abus 86TI/55. Remember to use a secure enough half euro cylinder with it. Read below, the aluminium alloy makes a huge weight difference ! 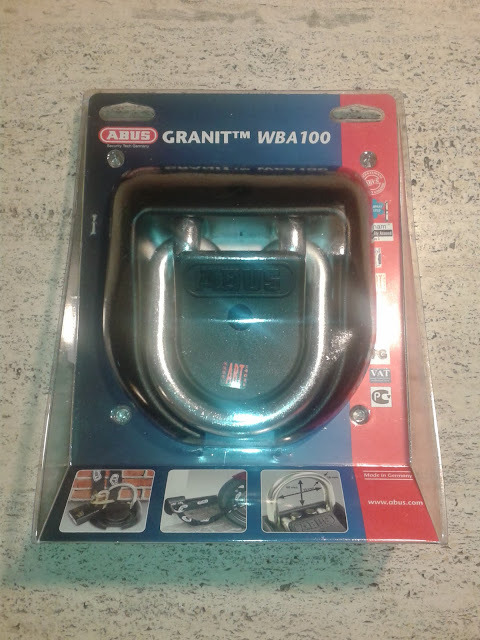 The Abus GRANIT WBA100 is designed to lock two-wheel vehicles in places such as garages, houses, cellars, carports... it is tough, very tough. It can be installed either inside or outside (weatherproof) on the ground or wall. 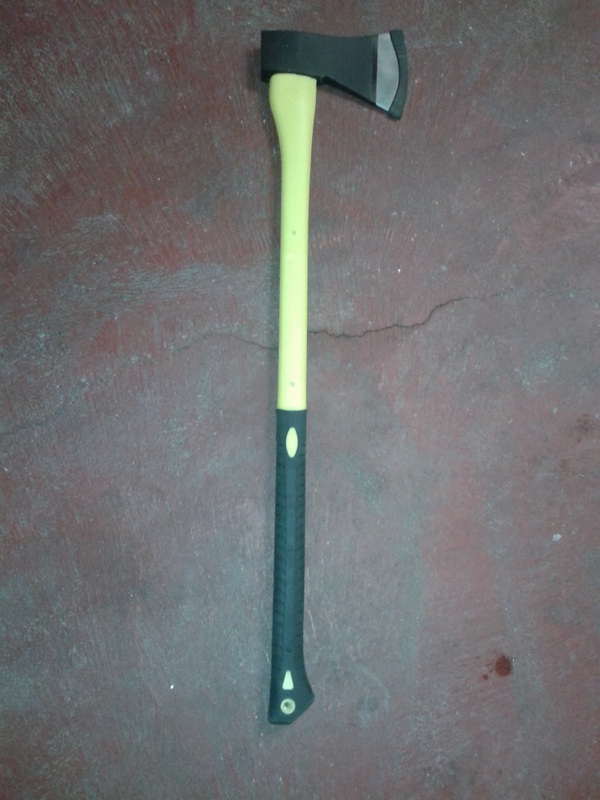 If your answer splitting wood along its grain as in splitting logs to make them thinner to fit within your fireplace, the tool you need is splitting maul which is a blend and heavy axe. As a second choice, a felling axe works as well. If cutting wood across the grain is what you need, you will probably either want a steel bow saw (or chainsaw) or an axe. Pelican 1300 Case (Peli) review: A tough one ! Martin Melchior. Simple theme. Powered by Blogger.